If Newt Gingrich were being nominated for sainthood, many of us would vote very differently from the way we would vote if he were being nominated for a political office. What the media call Gingrich's "baggage" concerns largely his personal life and the fact that he made a lot of money running a consulting firm after he left Congress. This kind of stuff makes lots of talking points that we will no doubt hear, again and again, over the next weeks and months. But how much weight should we give to this stuff when we are talking about the future of a nation? This is not just another election and Barack Obama is not just another president whose policies we may not like. With all of President Obama's broken promises, glib demagoguery and cynical political moves, one promise he has kept all too well. That was his boast on the eve of the 2008 election: "We are going to change the United States of America." Many Americans are already saying that they can hardly recognize the country they grew up in. We have already started down the path that has led Western European nations to the brink of financial disaster. Read more............ Steve Peters: Newt has made many "mistakes" in his private. If you are looking for a president and not a marriage companion, perhaps he is worth consideration. You cannot disregard the thoughts of one America's greatest 20th/21st Century's philosophers, Thomas Sowell. Black Conservatives Say Attorney General Holder's Speech at LBJ Library was Partisan and Racialist - National Center for Public Policy Research - On the heels of Attorney General Eric Holder's fiercely political and racially divisive speech Tuesday night, members of the Project 21 black leadership network are criticizing Holder for treating Americans differently based on their race or ethnicity and for his apparent disregard of very real voter fraud threats. 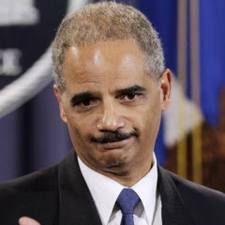 In his speech at the Lyndon Baines Johnson Presidential Library and Museum in Austin, Texas, General Holder made clear the Justice Department is reviewing and expects in some cases to challenge Voter ID and other ballot security measures enacted or under consideration at the state level. Read more...... Article contributed by Steve Peters.